Join the millions who listen to the lively messages of Chuck Swindoll, a down-to-earth pastor who communicates God’s truth in understandable and practical terms—with a good dose of humor thrown in. Chuck’s messages help you apply the Bible to your own life. 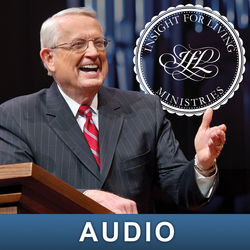 Listen and subscribe now to the best Christian podcasts today from podcasters just like Chuck Swindoll - Insight for Living. These popular Christian podcasts are available to listen to and download for free on Faithplay. Faithplay is filled with more episodes from Chuck Swindoll - Insight for Living and other top Christian podcasts. Download Faithplay today and start listening!